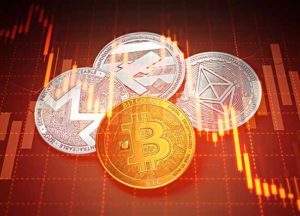 The global cryptocurrency sector plunged below a total market capitalization of $400 billion as Binance hacking rumors spread across the crypto community. "Binance just sold all my alts at market rate and I have got just the Bitcoin now," a customer wrote on the exchange's official Reddit page. "Is it because of account getting hacked or Binance bot issue?" Other users expressed similar concerns with their crypto holdings. After the posting, the exchange's moderator announced a freeze on withdrawals on the platform. Other individuals reported unauthorized orders on their accounts, which led to a 400% pump surge for a smaller altcoin called Viacoin. Binance.com CEO Changpeng "CZ" Zhao said on Twitter Inc. (NYSE: TWTR) that the company is investigating the incidents. "All funds are safe," he wrote at 12:34 p.m. EST. "There were irregularities in trading activity, automatic alarms triggered. Some accounts may have been compromised by phishing from before. We are still investigating." Here is a recap of the top cryptocurrency prices at 3:30 p.m. EST. On Wednesday, the market capitalization of the global cryptocurrency sector hit $398.45 billion. The top performer of the day was Nexus, which added 5.68% on the day. Nexus was the only cryptocurrency in the top 100 by market capitalization today to show any gains. The worst performers from the top 50 largest cryptocurrencies by market capitalization included Waltonchain (down- 22.62%), DigixDAO (down -16.97%), Verge (down -16.22%), Qtum (down -15.44%), Populous (down -15.21%), Siacoin (down -15.02%), and Steem (down -14.29%). The price of Bitcoin plunged 8.4% and pushed back under $10,000. In addition to the hack rumors of Binance, markets are digesting news that the U.S. Securities and Exchange Commission (SEC) is stepping up regulation of the sector. Today, the SEC announced that digital currency exchanges must register with the agency. Markets are concerned that such regulation could make it more difficult to trade cryptocurrencies in the future. However, the SEC made it clear that it is trying to ensure that protections are in place for users who misinterpret the relationship between the government and these exchanges. "The SEC staff has concerns that many online trading platforms appear to investors as SEC-registered and regulated marketplaces when they are not," the SEC said in a statement. "Many platforms refer to themselves as 'exchanges,' which can give the misimpression to investors that they are regulated or meet the regulatory standards of a national securities exchange." The SEC wasn't the only regulatory agency to say it was exploring new rules on cryptocurrency exchanges. Japanese regulators are looking at issuing administrative punishment notices to several cryptocurrency exchanges. The Financial Services Agency is considering these steps due to concerns about issues related to consumer protection and anti-money-laundering efforts. Twitter CEO Jack Dorsey said this week that his company will tackle the rise of cryptocurrency scams on the social media platform. In recent months, Twitter profiles of major exchanges and coin project leaders have been copied and used to scam naïve cryptocurrency investors. The scam profiles promise to send a large amount of Litecoin, Ethereum, or another cryptocurrency after the user sends a small amount to the scammer's wallet. The Assemblea Nacional (National Assembly) in Venezuela has declared that the nation's recent cryptocurrency project called the "Petro" is unconstitutional. Lawmakers in the country called the nation's dictator Nicolas Maduro's cryptocurrency project a fraud and a threat to any investor. According to previous reports, the Maduro government was able to use the Petro ICO to raise $735 million, a large amount of money that circumvents ongoing sanctions against the socialist government. Maduro has claimed that the Petro is backed by the nation's vast oil and natural gas reserves. The nation has the largest proven supply of crude oil in the world, but its energy sector has collapsed due to the failings of nationalization and government ineptitude. I would like to see Tom Gentile address the urgent buy alert that he put out on the alt coin ETHLend on the Binance Exchange. With the rumors of hacking and the price plummeting on this coin, I would like to know if we should get out or if he still feels this is going to work itself out.